We added a new feature. It started with a customer. So we made customizable logins for JangoMail. When you create a JangoMail account, you immediately have access to a number of powerful tools. Other Logins is one that allow you to create separate usernames and passwords for different members of the team to access the same JangoMail account. Now with Access Restrictions, you can customize login experiences by granting or restricting access to features that fit or don't fit the team member's role. To get started in JangoMail.com: Go to My Account-->Other Logins and create a new login for your account. 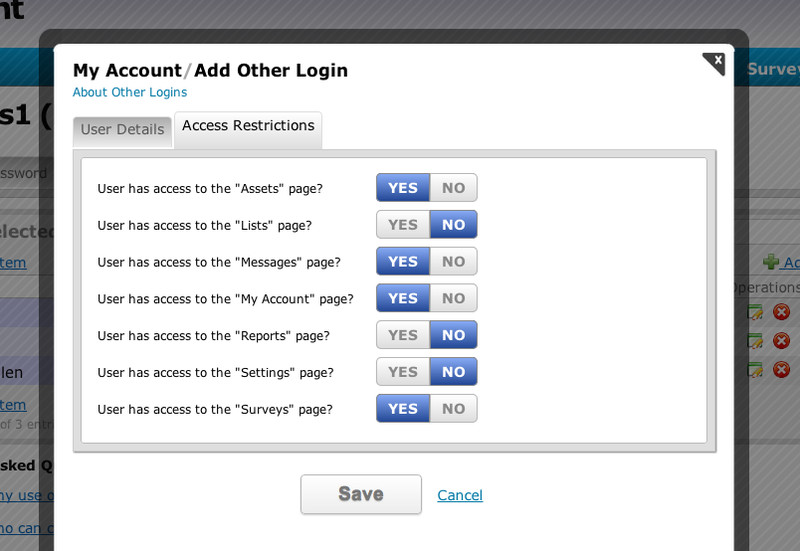 You'll notice an "Access Restrictions" tab, allowing you switch on or off different parts of JangoMail for each login you create. Now you can customize the JangoMail experience for every member of your team! Continue sending feature ideas our way. We love morphing customer feedback into product that serves the customer better. Expect more features on the way as we work to lead the industry. Thanks for using JangoMail.